You'll be £19.99 closer to your next £10.00 credit when you purchase How Compassion Made us Human. What's this? Our capacity to care about the wellbeing of others, whether they are close family or strangers, can appear to be unimportant in today's competitive societies. 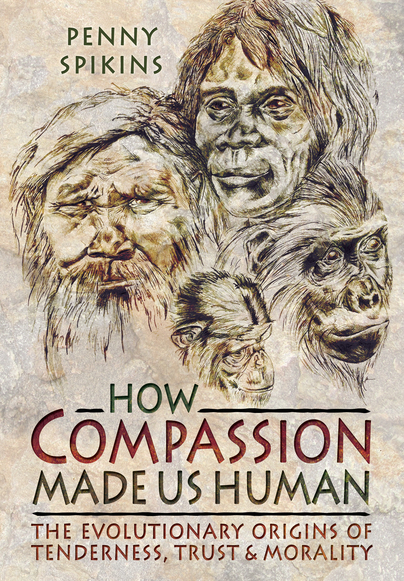 However, in this volume Penny Spikins argues that compassion lies at the heart of what makes us human. She takes us on a journey from the earliest stone age societies two million years ago to the lives of Neanderthals in Ice Age Europe, using archaeological evidence to illustrate the central role that emotional connections had in human evolution. Simple acts of kindness left to us from millions of years ago provide evidence for how social emotions and morality evolved, and how our capacity to reach out beyond ourselves into the lives of others allowed us to work together for a common good, and form the basis for human success. Penny has travelled a lot in her career, gaining her PhD from Cambridge University before working in the Pennines, underwater sites in the North-East of England and Argentina. Penny has spent over two years 'in the field' working within commercial archaeology as well as working in various academic institutions before taking up the position of Senior Lecturer in Early Prehistory at The University of York.